The Indigenous Peoples’ struggle is a protracted one. And an exceptionally significant milestone in our struggle to be recognized and protected is the enactment of the Indigenous Peoples Right Act (IPRA) or RA 8371. It is a landmark legislation that promotes and defend our “four bundles of rights” to our ancestral domains and lands, self-governance, cultural integrity, social justice, and human rights. And after a decade, the UN followed suit in acknowledging worldwide the rights of the indigenous people through the UN Declaration on the Rights of the Indigenous Peoples (UNDRIP). Although in the course of the IPRA implementation, we raised serious questions as to its utility and how it can survive amid inconsistencies with other Philippine laws that hinder eventual claiming of rights of the IPs. But in the end, it is the only national legislation that puts us on the map – that we exist as self-determining peoples across the islands. On the other hand, we are also guided by our own laws exceeding the legal frame provided by the IPRA. It may be our social justice instrument but Peacemaking goes beyond. It can’t encapsulate all our stories especially from those who have come before us – tales of making war and peace, of thriving and surviving. That is why every peace effort that is not succeeding dampens our spirits. Because Peacemaking runs in our blood- stream and our way of life. When something disrupts the order of things, we negotiate with the spirits, nature, and peoples. And rituals play an important part in communicating peace – we do it when we get something with a promise of returning to restore the balance. This is where the principle and task of “HUSAY” come into life to guide us in settling conflicts and keeping the peace in our everyday affairs. And the Peace Process is an expression of our “HUSAY”. Despite our frustration of being excluded in the formal negotiations between the GRP and NDFP, we still believe that political settlement is a form of “HUSAY” for us. That’s why we decided to assert our space independently as indigenous peoples talking to both the government and rebels on our own terms. But with the termination of the talks and the recent dissolution of the peace panels, this has been wasted. The peace negotiations may have ended, but it is not the only expression of a Peace Process. The indigenous peoples still have “HUSAY” incorporated into our daily lives. Our peacemaking ways will endure as long as we continue asserting our identity and self-governance in our indigenous territories. “National Task Force to End Local Communist Armed Conflict”. This recent development is disturbing for us since this meant burying 30 years of hard work and peoples’ money especially for the panels and committees who may have great disagreements but have also forged breakthroughs and inroads in the course of the history of the peace talks. But talks, no more. And we are more bothered with the paradoxical campaign of staging an all-out war in the country- side and cascading the “localized peace process” on the other end. This is the same set up before when both the government and the communists were in “talking-while-fighting” mode and nothing happened – except for more displacement, killings and disrupted lives of the indigenous communities who bore the brunt of the armed hostilities when the talks were terminated and Martial Law was enforced in Mindanao. EO 70’s terms of reference have to be clarified publicly. For now, we understand that it is the legalization of a national dialogue process to bolster an anti-insurgency campaign of the Philippine Government. The whole-of-nation approach is a good way of involving crucial stakeholders on peace and development but with the proposed scheme of involving relevant national agencies – almost the whole of government instrumenta- lities – won’t this render redundant their core mandates in delivering basic social services and good govern- ance? Why not empower existing peace and order councils and similar peace bodies with civilian represent- ation and oversight? EO 70 can’t substitute a peace process even with a promise of localization and inclusion if, in the proposed structure and process, the civilians (especially those who are vulnerable and directly affected) are not meaningfully included nor substantively represented. This is basically a government program mobilizing nine (9) departments and other national agencies or a total of 18 government instrumentalities and 2 represent- atives from the private sector. Of the 18, only 2 have specific mandates relating to the indigenous peoples (i.e. NCIP and OPA-IPC) but there’s no guarantee of their voice in the task force. Moreover, not even a single slot for civil society nor a grassroots organization representation is indicated in EO 70. Only a political settlement designed towards genuine institutional reforms can provide fundamental steps in addressing the roots of the armed conflict. EO 70 is not a political solution in a war waged by the main protagonists in the armed conflict. It indeed provides a ‘national space’ for peoples, government and the private sector. But where is the CPP/NDFP/NPA in the entire process? We appeal to the President to talk to us. Please talk to us who are not part of this war. Please talk to the rest of the indigenous peoples who have a broader picture of the complexities of our situation. 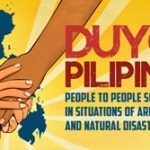 Talk to other victims and survivors who are not allied with the CAFGUs and paramilitary units of the military, nor hired as SCAAs to secure LGUs and corporations, nor recruited as ‘Pulang Baganis’ of the CPP/NDF/NPA, nor employed in private armies of political warlords – we are more than them in numbers. We are the greater bulk of the indigenous peoples who are caught in the crossfire and who have also been illegally detained, tortured and killed due to this protracted conflict. We offer the HUSAY principle and pursue an IP-led peace process. Let the cultural process redeem us when the political realm fails. Let the national dialogue process start with the divided communities first, among indigenous communities across the islands. This process will be territorial-based, held to cleanse the damage done in our own ancestral domains in the many years of strife. We propose to transform this process in EO 70 to build bridges and bring peoples across various divides by allowing us to talk first among each other, tribal and inter-tribal. Before we talk with the rest of the Filipinos in a dialogue among equals. We assert that the principle of ‘free, prior and informed consent’ residing in every genuine governing tribal council and indigenous political structure be recognized and respected by this national process. The indige- nous peoples and our territories shed blood in this armed conflict – and our lives, rights, and processes matter. This proposed ‘localized peace process’ will have to be inclusive in the kind of consultation the national task force will pursue. The indigenous peoples should not be used for whatever gains, and tribal leaders with mandates from their councils and communities should be the ones heard at the table – and not the agencies nor the private sector who can’t speak on behalf of us and of our suffering. 4. We urge that the rights and agenda of the Indigenous Peoples should be key electoral and policy agenda. Immediate policy reforms addressing the rising cost of rice, food, other basic commodities and promoting policy alternatives on issues on land, agrarian reform, human rights, food, and human security should be the change agenda committed by all relevant policy actors and electoral candidates. These should benefit the indigenous peoples and the rest of the marginalized poor communities in the cities and rural areas. In the end, the pushback of the extended Martial Law in Mindanao reached our indigenous territories with the rising incidents of forced evacuations and extrajudicial killings resulting to a climate of fear and impunity – notwithstanding the continued operation of extractive large-scale mining corporations, agricultural plantations, and the distribution of Certificates of Land Ownership Award (CLOA) on ancestral domains/lands with pending delineation processes or with CADT/CALTs. Moreover, contributing to our present state of abject poverty are humanitarian concerns due to the long dry spell brought about by the El Nino phenomenon seriously putting at risk our food security. Through generations, we have weathered this backdrop of conflict and underdevelopment. Our peoples have seen the worst but continue to hope that things will get better. We are a peace-loving people, in fact, “survival and resilience” are words akin to our travails of existence. Guided by our ancestral voice, we will continue the peace whispering of our assertion and aspiration. We will continue to persist and resist.